Welcome to your one-stop shop for literary updates! Here I review the week’s top articles, preview upcoming events, and give a shout out to the best in literary paraphernalia. Enjoy! Ever wonder what happens in the brain when writing or reading fiction? This article by Richard Lea brings together findings from research and summarises the distinction between written and spoken approaches to “writerly models.” Especially interesting are the anecdotes about authors who like to read their work out-loud and those who openly avoid this approach. 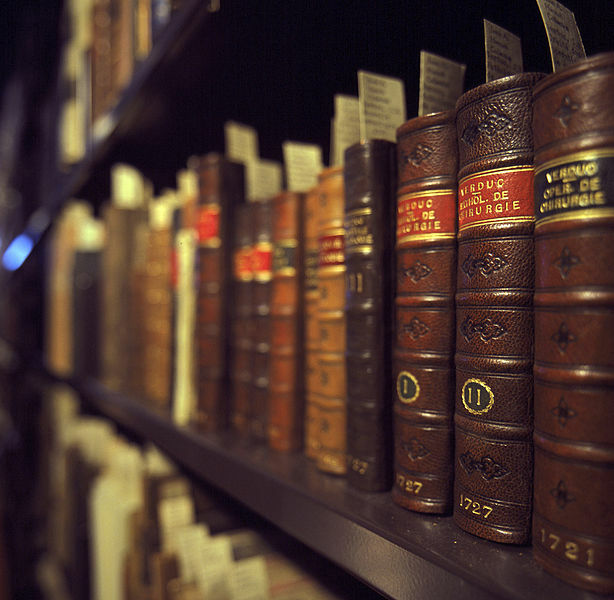 Did you know that there is a dark side to the rare book trade? Neither did I. This revealing article in The Economist is a fascinating insight into the thefts that have come to pose a real threat to our literary heritage. According to the article, rising prices for rare manuscripts combined with lax security have created a criminal trend. Something to think about when you next consider spending your spare millions on starting a rare book collection. I am beyond excited for this year’s Edinburgh Book Fest. I already have my tickets booked and must now just wait patiently for August. Tickets went on sale last week but there are still plenty available. So make plans for a long-weekend in this beautiful city and enjoy some top literary events! Despite the initial controversy surrounding the release of Harper Lee’s To Kill a Mockingbird sequel, everyone in the literary world is stoked for Go Set a Watchman. I haven’t been to a midnight release since Harry Potter but this may be a worthy late night adventure! One of my greatest ever gifts was a Pride and Prejudice bracelet and hairpins. Obviously courtesy of my wonderful (and patient) fiancé. 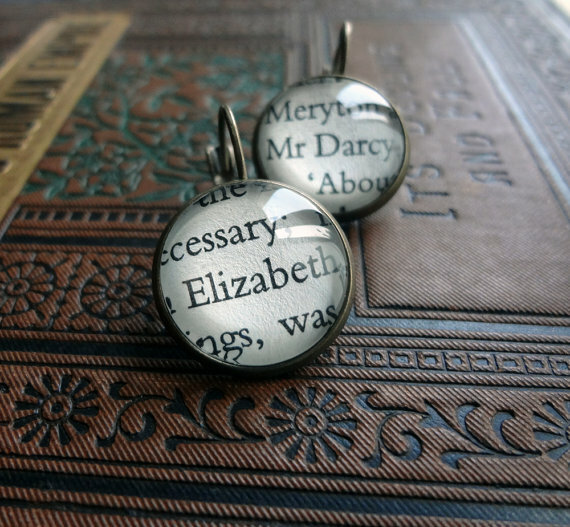 Looking around for similar creations I stumbled upon Bookity and a huge variety of literary-themed jewellery. Whatever your obsession – be it Sherlock Holmes, Jane Austen, or Jay Gatsby – you will find something to your taste. There are even cuff links for the guys! So get shopping!